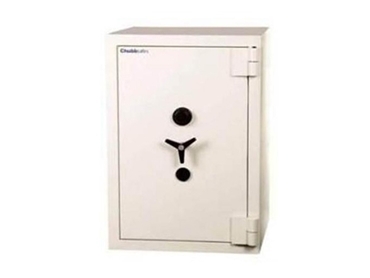 Safes Galore offers the Chubb Oxley MKIII, a high quality range of security safes designed to protect cash and valuables within an office or retail environment. Chubb Oxley MKIII security safes are available with key and combination lock or key and LG33E digital lock options. Oxley MKIII cash safes are tested to provide 60 minutes of fire resistance for paper documents. A special barrier material has been used in the construction of the cash safes to protect against different kinds of burglary attacks.